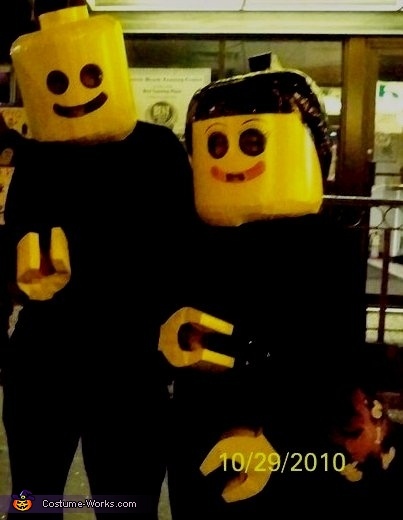 This homemade costume for couples entered our 2010 Halloween Costume Contest. This is myself and my boyfriend Brian. We had so much fun in these costumes for Halloween night! How did you do the hair? I have Ideas for everything else. I scrunched up newspaper and covered it with duct tape. For the ponytail I just used posterboard. How did you make the head and hands?